Here are a list of projects in very early Beta. Please feel free to comment, criticise and contribute if you like. 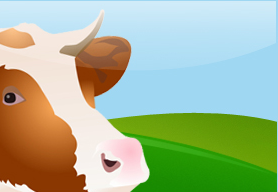 A service to allow people to moo any need to the social web where it is solved rapidly by companies and socials. I think there is a nice business model here with some interesting interactions and problems that can be solved better through a service like this. Some fine-tuning to do, but the basics are there for this one. An educational festival for entrepreneurs, inventors, webheads, creatives and other bloody-minded deviants. We celebrate the role of passion, deviation and failure in realising an idea and use learnings and a framework to crowd-plan individual futures. Run a couple of years ago with great feedback.